Bogdan Dumitrescu was born in Bucharest on May 7, 1962. He received the M.Sc. and Ph.D. degrees in 1987 and 1993, respectively, from the Faculty of Automatic Control and Computers, Politehnica University of Bucharest. After working three years as a software engineer, he joined the university in 1990. He is a professor since 2003. He spent several years abroad at Institut Polytechnique de Grenoble, France, and Tampere University of Technology, Finland, where he is now (2010-2013) a FiDiPro Fellow with the Department of Signal Processing. He has published more than 40 papers in international journals and the book Positive Trigonometric Polynomials and Signal Processing Applications, Springer, 2007. 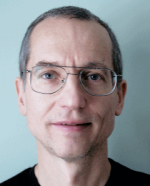 He is an Associate Editor for IEEE Transactions on Signal Processing since 2008 (and Area Editor since 2010). He served in the technical program committee of several conferences, including EUSIPCO. He is a member of the IEEE. His scientific interests are in numerical methods, optimization, and their applications to systems and signals.